Azienda Agricola Sukula is a family-run, artisanal wine estate located in the medieval village of Serralunga d’Alba in Piedmont, Italy. 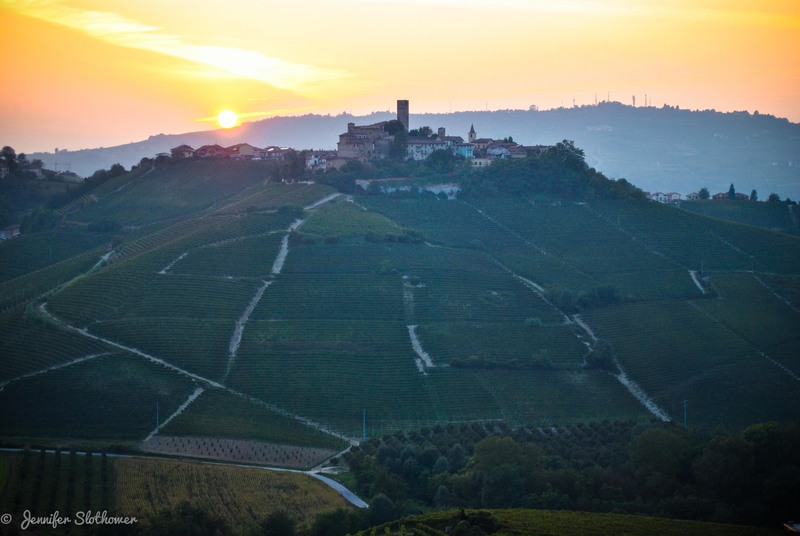 Nestled in the heart of the Barolo DOCG zone, Sukula has been producing world-class wines since 2006. The estate is just under two hectares, which allows for an incredible attention to detail that is not always found at other wineries in the region. Due to the limited production size of the estate and a careful eye for quality, Sukula produces only 4,500 bottles per year and is considered a micro-producer in a region where many other wine estates are already quite small. Sukula wines represent a truly artisanal and high-valued product, where each and every step of the wine-making process is carried out by hand. Currently the estate produces award-winning Barolo (Meriame cru) and Barbera d’Alba. Winemaker Riikka Sukula originally hails from Finland, but fell in love with Piedmont and it’s famous wines when she traveled to the region on a wine purchasing trip for her Finnish import company Belmondo. Riikka’s story is one of romance and dreams fulfilled. Being told again and again that the true art of wine-making happened in the vineyard, Riikka wanted to experience firsthand the seasonal magic of the wine year. The Sukula estate’s nebbiolo vines surround Riikka’s restored farmhouse, a near-ruin when she first found it in 2005. Typical of her character, Riikka accepted the challenge head-on, and orchestrated a complete home renovation. During renovations, Riikka and her husband, well-known Finnish chef Jyrki Sukula, started a family (the two currently have two beautiful daughters). Concurrent to the renovation, Riikka began to study winemaking techniques with agronomist Gianpiero Romana and in 2006 produced the estate’s first vintage, a Langhe Rosso (Meriame Langhetta). Many of the original Nebbiolo vines were in desperate need to replanting, and thus began a slow rebuilding project of patience. The replanting was completed slowly and methodically, always choosing only section of the wine estate at a time. By 2014, all of the necessary rootstock replanting was completed. Sukula’s first Barolo vintage was bottled in 2007. While Sukula doesn’t have decades of historical vintages to rest upon, the wine that is being produced is only of the highest quality and is receiving accolades from esteemed wine critics around the world. A sip of a Sukula Meriame Barolo reminds you of the values so dear to Riikka: family, hard work, and the gumption to chase a dream. Always with an eye towards the future, Riikka is currently enrolled in the interdisciplinary Master of Wine program at the nearby University of Gastronomic Sciences. Azienda Agricola Sukula is a boutique winery producing world-class Barolo and Barbera d'Alba wines. Located in Serralunga d'Alba, in the heart of the famed Langhe hills, this family-run winery is a true hidden treasure.